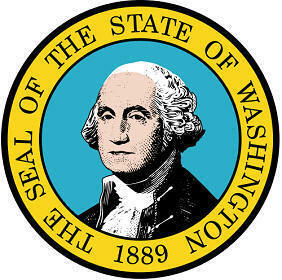 The Washington state seal identifies government buildings and officials and is a centerpiece for the Washington state flag. The symbolism, history and emblems of the seal are described in this article with fast facts and information. 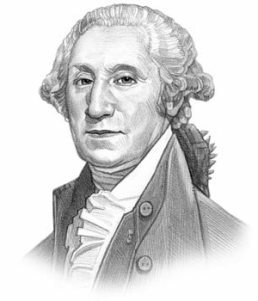 He was a delegate to the First Continental Congress and appointed general and commander-in-chief of the new Continental Army in 1775. 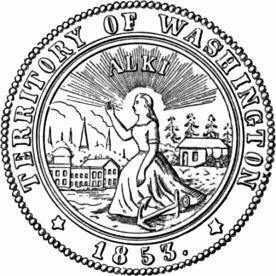 This is a flyer that depicts the 1904 design of the seal. The surrounding images are interesting as they portray pictures of the industries that were important to the early economy of the state. More than half of the land is forested and the lumber and wood-products industry is reflected in the picture of the lumberjack and his team of horses pulling logs. The other picture represents the importance of the shipping industry to the economy.